silmeth I wouldn’t want to suffer a whole game playthrough over a fallible network, but I do prefer streaming 25 Mbit of data every second for a few hours to just try the game than downloading the whole game before I can get a taste of it. Did you see the presentation? The demo guy literally just left one device and picked up the game on another. I'm sure connection drop is not at all an issue as you should be able to just pick up where you left off. Shmerl Any recommendation to whom send such proposal? Google isn't exactly known to be very open to external communication. I don't mind sending a suggestion, as long as it won't go to some usual stone wall of support. Google is huge, and so is the amount of feedback they get. Depends on the team, but they usually go through everything, even if they can't literally reply to everyone. Probably the first step would be to wait for launch, then submit feedback through whatever interface they have. Mind you, they could disagree with the suggestion or have it as low priority, but they won't be able to engage with you personally due to the massive amount of feedback they get. 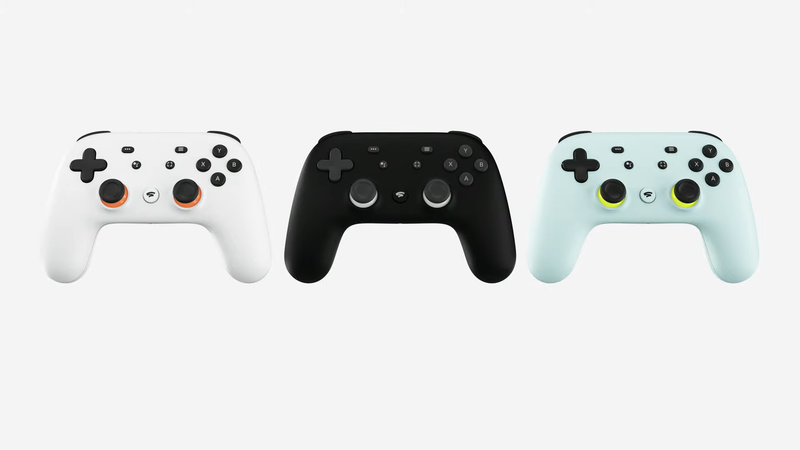 - If the game runs on Stadia, it's likely already on Stadia's catalogue, which means you can play it regardless of having owned it. 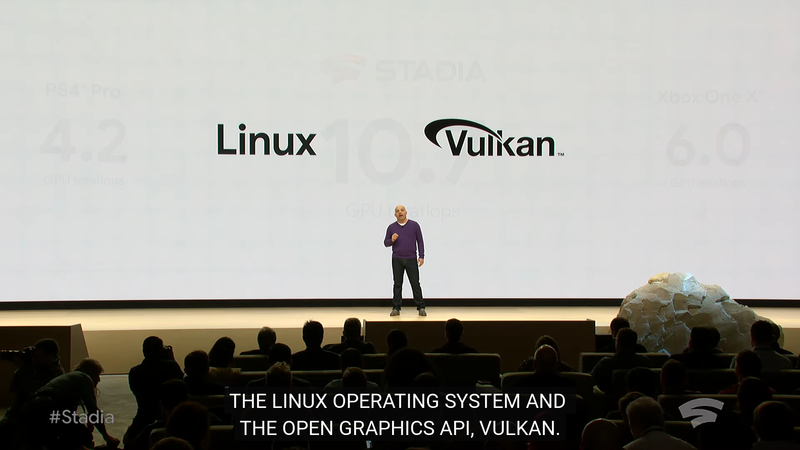 - If the game doesn't run on Stadia, well it doesn't, you can't ask Stadia to run it. etonbears You are adopting the narrow view of "network neutrality as monopolist tool" popular in the United States. I mean it in the wider sense of equality/restriction for any purpose. You probably meant anti-monopolist tool, which net neutrality in part is. However I don't see this being very widely differently defined, given the author of the term is Tim Wu who is a law professor in Columbia University. I'm pretty much using his original definition. That's the whole point of offering a DRM-free option. 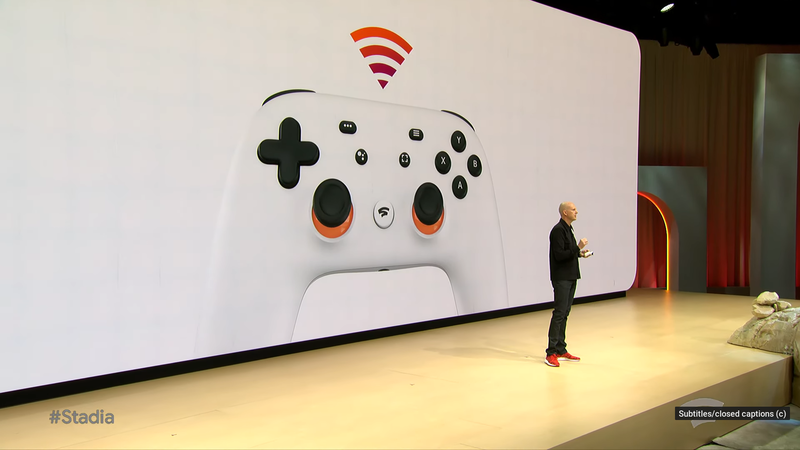 Currently game on Stadia is DRMed. To make any of them DRM-free, means to offer a downloadable version (I suppose it would mean adjustments like you said, to provide ability to run it on regular desktop Linux). Technical changes aside, it will simply make it possible to back up the game and run it without the service. I already brought examples of other stores that do that, like Bandcamp for music. You could ask the same question, why offer downloads there, if you could just allow only streaming (Spotify-like). If your question is, what value is there in having the ability to back things up, I think it's quite self explanatory, and the value ranges from games preservation to ability to use it without Internet connection and avoiding the risk of losing all your catalog if the service shuts down, or your account is simply closed for instance. And if the question is, what's the value in the streaming use case, it's obvious too. You can play it while not having your high end rig with you, for example. I.e. both use cases have value, and the store can as well offer both. It's only when they are both provided, when the user isn't losing out. etonbears Which is one argument against net neutrality - you can't guarantee the quality of service you think you are paying for. Network congestion due to load is not an argument against net neutrality. Net neutrality is about preventing deliberate traffic discrimination (such as for anti-competitive purposes). Managing the network due to congestion is fine according to the concept of net neutrality. Mind you, something like data caps is not a network management tool, it's users fleecing, anti-competitive trash. Limiting bandwidth when network is overloaded though is a legitimate network managing technique. You are adopting the narrow view of "network neutrality as monopolist tool" popular in the United States. Debate and discussion of the term as used by Shmerl has been extremely widespread for a number of years. Even if it's used differently elsewhere, it's probably not used nearly as much your way overall because your sense is more technical and less controversial in its implications, so probably just less talked about. So you shouldn't be surprised if Shmerl's is the sense people expect. And if you think it's going to stay limited to the US, well, maybe, but I've sure noticed that nasty practices often start in the US and are then exported to much of the rest of the world through trade agreements and by the same interests elsewhere latching onto the American example to make their greed respectable. I do think that public provision would be a good idea. The internet is infrastructure; infrastructure works well public. Perhaps, but it seems like more like Political ( big P ) footballs that are being kicked around in the wrong Stadia ( OK, I'll stop that ). It's unlikely that countries in the European Union would be "infected" by bad network practices of the sort some Americans fear, as the Competition Commission has a good record at acting on complaints concerning poor behaviour. Most countries here also have regulatory frameworks that work, more or less in the general interest of everyone. Even the UK, which is much closer that any other EU country to American Ideals, really isn't all that similar. We have our own brands of loonies trying to impose their ill-informed worldviews on us, like most countries, but they don't really resonate with US groups. I'd have to say that in Canada, neither BC nor Quebec ( the provinces I have visited ) seemed much aligned with US values, and your current administration doesn't exactly seem to idolise its US counterpart; but I suppose Canada might be the most likely domino because of co-location and economic pressure, so I can see your concerns might be more aligned with US sentiments. ShabbyX Google is huge, and so is the amount of feedback they get. Depends on the team, but they usually go through everything, even if they can't literally reply to everyone. Probably the first step would be to wait for launch, then submit feedback through whatever interface they have. Mind you, they could disagree with the suggestion or have it as low priority, but they won't be able to engage with you personally due to the massive amount of feedback they get. Would it make sense to write straight to Stadia chief Phil Harrison about it? I doubt this kind of decision can be made without his involvement. I've recently seen an interesting case, when one Linux user wrote directly to Intel CEO Robert Swan about frustrations with bluetooth on Lenovo E485 laptop, when using Intel wireless chip (in the end it was Lenovo's UEFI fault which they still didn't fix). And in response Intel engineers thoroughly investigated the issue and wrote a detailed response to him which he shared. I was pleasantly surprised how well Intel handled that. I guess sometimes CEOs don't ignore direct feedback. I completely understand that concern. And I think it’s frankly no different than how games are on mobile today, and not really different to how users trust us today with the most precious thing in their life, which are their memories, with Google Photos. I think we would apply the same standards of care to our data going forward as we would to something like Google Photos. 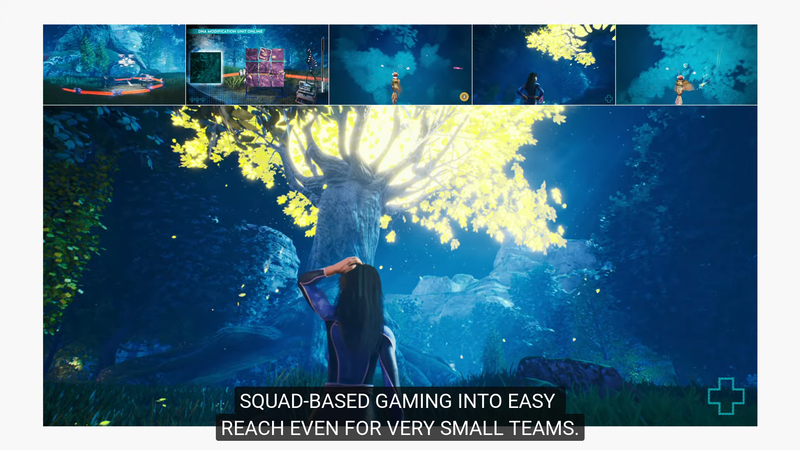 This is a moment in the game industry where technology opens up a whole new set of new capabilities for gamers and I would obviously focus on what those incredible advantages are. And that’s going to be our point of view of the future of games. The article also mentions his take on Linux porting by the way. At least if he is sympathetic, he might not dismiss the idea outright. May be Liam can get an interview with him asking more from the perspective of Linux gaming. That would be pretty cool. Quite right, I did mean an "anti-monopolist" in there. And of course quite right that Tim Wu initiated the network neutrality debate. But like most debates and discussions, particularly online, the original theme expands and morphs to encompass different contexts, especially when considered by those in different societies operating under different jurisdictions and regulatory conditions. While I spend quite a few weeks every year in the US, I do not live there, and I do not usually consider it as my context for discussion unless I say so. The discussion in the US, concerning how the Internet is constructed managed and used, seems to have become intensely partisan and thus narrow because the participants simply assault each other with their best dogmatic assertions and withdraw. You may not yourself be a US resident, but the tone with which you offered your "correction" to my "misunderstanding" certainly suggests that narrow partisan mindset. That's quite reassuring. Although yeah, Canada, no matter what the Prime Minister of the day's rhetoric, has a tendency to end up doing a lot of things the American way. BC and Quebec aren't much aligned with US values, but Alberta totally is, a distressing amount of Saskatchewan seems to be, and the big enchilada, Ontario, is in a culture war between US-conservative and Canadian "liberal" values which local Trump-wannabes win all too often. And anyway, what Canadians think doesn't always matter. Although so far we do have significantly better copyright law, despite a lot of pressure to go full DMCA.